Pinterest A Grateful Life Lived: God's Healing Power in Action! If you read my post yesterday (Click HERE to read! ), you are perhaps wondering what the deal is with my quad muscle that I strained. Well, most likely, you aren't wondering, but humor me while I tell you how awesome my God is! Like I said yesterday, God was highlighting the difference between a distraction and an interruption for me during Bible study on Thursday. Things that we often think are just distractions to "our plan" are divine interruptions or appointments made by God. I tried to keep that in mind when I was contemplating stopping my run early yesterday. My quad muscle was not just sore. It was extremely painful-- to the point that I couldn't run downhill. All of yesterday, I prayed, but I realized yesterday evening that I was praying with the wrong mindset. Once again, I was praying with a specific result. Unless God healed my quad by this morning-- so I could do my long run-- I would be upset. For us to put God in a box of our expectations is absolutely NOT how it goes! Here's the cool thing about a relationship with God though. I was able to just sit down and tell him. I told him I was frustrated that my leg hurt so badly. I told him that I'd been praying with the mindset that God was my little genie in a bottle, and not the powerful creator of the universe that he is. In the end, my sinful attitude led to a great time with my heavenly father. I was able to just confess my sin and open up to him. 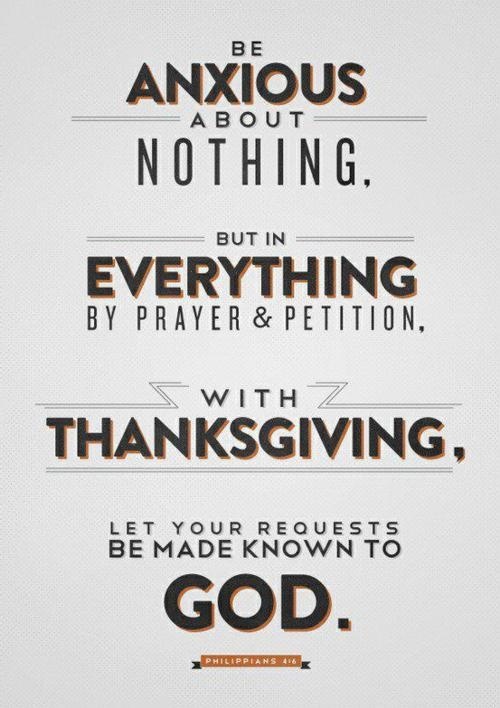 His word says that we should be anxious for nothing, but in everything, with thanksgiving: present our requests to him. At that point, I had gotten the thanksgiving part down. I was viewing the pain in my leg as something God was going to bless me with and a way I could draw closer to him. I rebuked my fear and prayed that if it was all the same to him, I would be healed in time to run this morning. I went to bed with an awesome and strange sense of peace. No waking up in the middle of the night and flexing my leg to see if it was "healed yet." I was just trusting that whatever the outcome was, my daddy had it all figured out! I woke up at 6:45 to go run, and quickly ran downstairs and slipped on my shoes to see if I needed to text my friend to cancel. I ran a few strides down the driveway and was a little iffy: I could run on it, but it was still pretty sore. Speaking to my dad, I said that I was gonna go for it and see how it went. In my head, I figured that even if I got in some miles, it would be better than nothing (FYI- this is not a healthy and good way to look at an injury, in the future). "I'm just gonna pray that as I run, it gets less and less sore, rather than the other way around," I announced to my dad. He agreed with me in prayer and I headed out the door. You know what happened next? I ran. I ran 13.06 miles at a 7:07 ave. pace with NO PAIN IN MY LEG. NOTHING!!!! Sometimes, I try to explain God. I try to rationalize that it was only time, or medicine, or a million other things that change a situation I pray about. 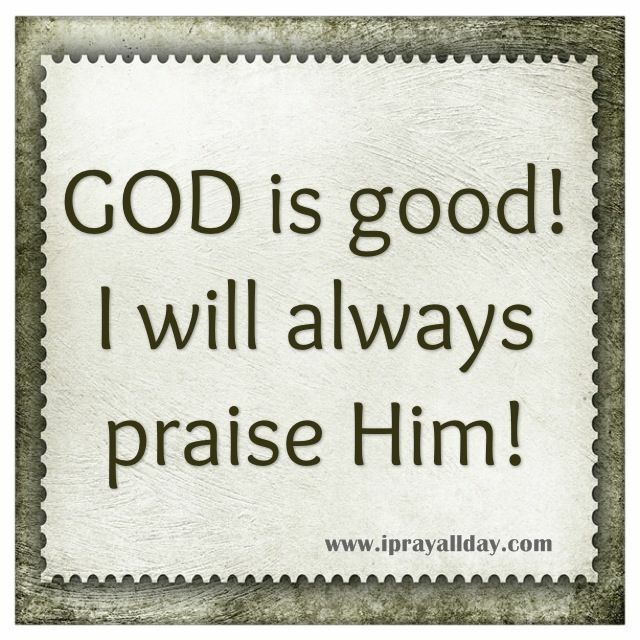 This time though, there really was nothing for me to say but praise God. Yes, in the grand scheme of life, my strained quad is not important. It's miniscule. But my God cared enough about that tiny thing in my life. How much more does he care about the HUGE things? Yesterday afternoon and evening, I could hardly walk on my left leg. There was a splitting pain whenever I put pressure on it. Today, I had no pain AT ALL. I am amazed at the power of my God. I am astounded that he chooses to show his love to us. Lastly, I am in awe that I get to be a part of what he's doing. I get to experience divine interruptions- and so can you!